Why are so many people choosing Opal apples? These sunny fruits are like no other! Opals are beautifully bright yellow with a distinctively crunchy texture, floral aroma and a sweet, tangy flavor. Opal® apples won't brown after cutting. So an Opal a day will keep your salads - and your kids' lunchboxes - crisp and fresh! 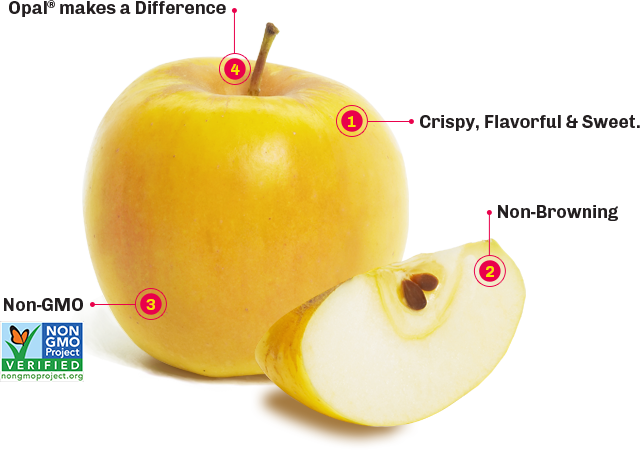 Opal® apples are Non-GMO Project verified. They are the first U.S. apple variety to be verified by the Non-GMO Project, the only independent verification in North America for non-GMO food. The apple that gives back. Taste the difference and make a difference with Opal® apples. 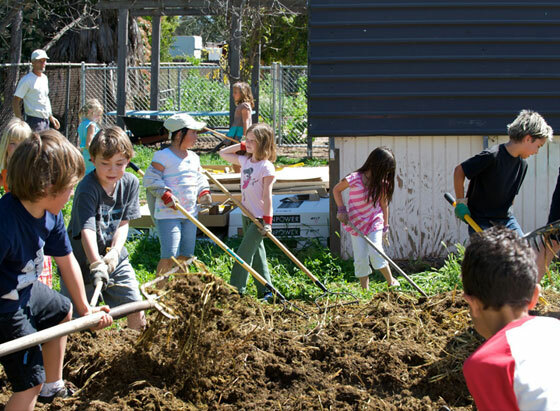 We sponsor the Youth Make a Difference initiative to address food issues in local communities. 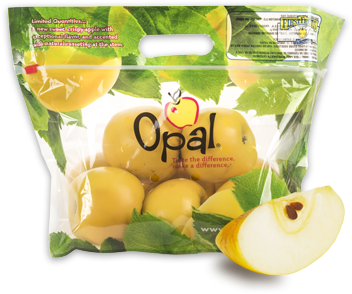 Find Opal apples in a store near you! Opal® apples are available at select locations across the USA and Canada. Check here or call ahead to a store near you to ensure availability - supplies may vary by store. 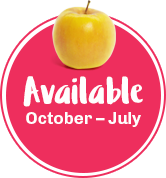 Opal® apples are seasonal, so once they're gone, they're gone! So find them, eat them and enjoy Opal® apples while you can! FirstFruits Farms is a recognized leader in the apple industry, and for over 25 years has been one of the largest privately owned apple orchards in the United States with more than 6,000 acres of apples and cherries. Opal will be touring around the USA, check if we will be in your area for an event or demo. Read all the latest news on Opal, featuring news, new tips and ways to use Opal Apples.